As a community-owned healthcare system, a commitment to the latest technology is core to our mission of serving Marshall County and surrounding areas. From providing a detailed diagnosis to delivering life-saving treatment, our investments are paying big dividends for local patients. Expertise with a caring touch plus the absolute latest technology — it’s a powerful combination. 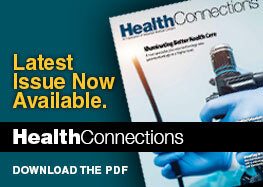 And another reason Marshall Medical is your convenient choice for excellent healthcare. 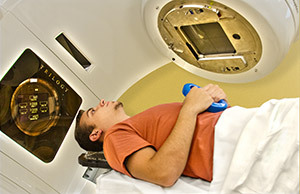 Learn more about Marshall Medical technology initiatives below. 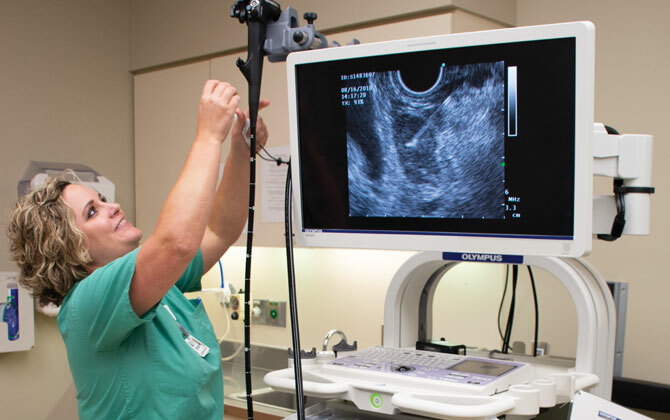 Endoscopic ultrasound uses an endoscope with an integrated ultrasound probe to create detailed pictures of internal organs and structures. This advanced technology is considered the most effective method for staging esophageal cancers, rectal cancers and pancreatic cancers. Needle biopsies can also be done through the scope, with a needle passed through the scope while positioned in the esophagus, the stomach or small intestine to biopsy nearby structures. 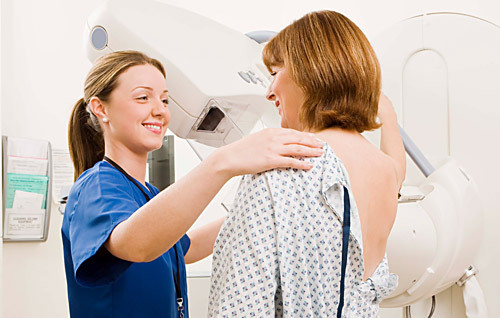 This provides for a relatively non-invasive biopsy for areas that can otherwise be quite difficult to reach. 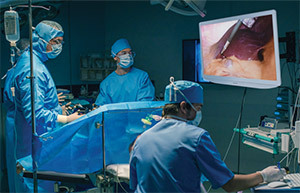 Another similar new technology being used at Marshall Medical is called ERCP, a technique used to access the bile ducts and pancreatic ducts in a procedure using a scope in the small intestine. 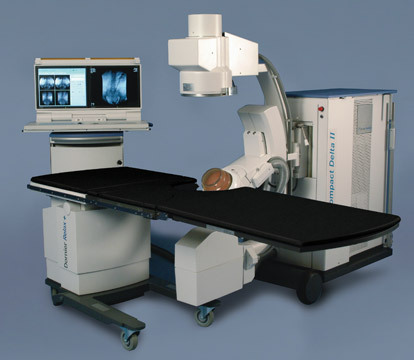 Marshall Medical’s investment in a Dornier Lithotripter – the latest generation in lithotripsy technology – means you can receive the best possible kidney stone treatment in the shortest amount of time. Using the latest electromagnetic technology, we can blast the stone into pieces small enough to pass through the ureter and bladder. This non-invasive treatment is now available at Marshall North and South on a same-day or next-day basis to make patients comfortable as soon as possible. A lithotripter pulverizes kidney stones with shock waves, and our advanced electromagnetic technology provides several benefits. 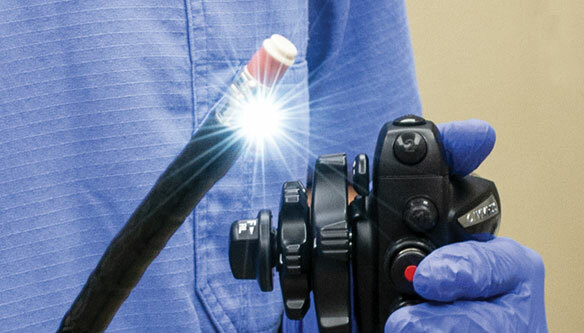 The mobile lithotripter arm improves patient comfort, and the new technology can reach stones deeper in the ureter. It can be effective on stones in the ureters as well as the kidneys. It also makes it possible to treat kidney stones located lower in the pelvis than was possible with older technology. In fact, it destroys 20 percent more stones, allowing many more patients to avoid surgery. Thanks to telemedicine, Marshall Medical offers 24/7 neurology care for rapid stroke response. 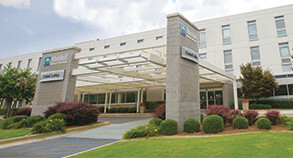 Working with the North Alabama Neuro-Stroke Network and Huntsville Hospital, we can deliver real-time video examinations between our specially-trained emergency department and a neurologist to diagnose and prescribe lifesaving drugs. Through this advanced technology, stroke victims arriving at the Marshall North or South ER can be treated quickly in a situation when every minute counts. 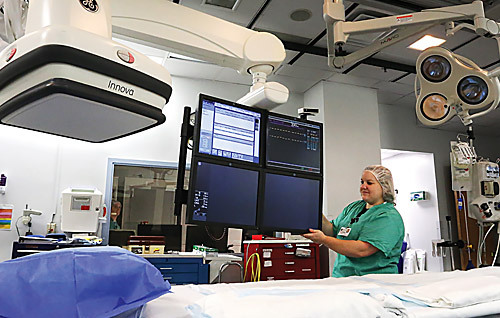 Along with an excellent team of cardiologists, Marshall Medical offers some of the most modern cardiac catheterization technology available, including the unsurpassed GE Innova IGS 530. That's part of the advanced cardiac care that Marshall Medical Centers delivers to our community – care that’s dedicated to providing advanced cardiac cath procedures that can help you beat heart disease. Marshall Medical is committed to student athletes both on and off the field. That commitment includes using SportsWare, a cloud-based software program that tracks injuries, treatments, referrals and procedures for the athletes. The leading injury tracking software since 1991, SportsWare helps more athletic trainers record, manage and report information than any other program. High school, college, outreach, and professional athletic trainers are managing over 2 million athletes using SportsWare. Online access to SportsWare means that our athletic trainers have access to all of their records anywhere they have Internet access. This technology can be invaluable when injuries occur during a game or practice, allowing the trainer to review any previous injury data and make quick decisions about the best plan for treatment. SportsWare allows sharing records quickly between trainers, physical therapists and physicians, which facilitates the treatment for fastest, safest recovery. Another aspect of SportsWare is the potential benefit to parents and coaches. For parents who may have insurance questions related to previous injuries, SportsWare allows convenient access to the history. For coaches, it can generate data such as breaking down types of injuries or severity of injuries per season or school year. Our Patient Portal is a secure online website that gives patients convenient 24-hour access to online bill paying and personal health information from your home computer, smartphone or tablet device. 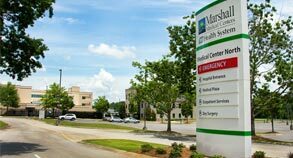 The information in the portal is from your Marshall Medical Centers’ electronic health record. 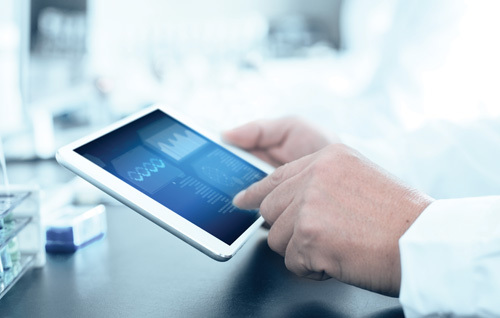 Using a secure username and password, patients can pay their bills online and view a summary of your personal health information including lab results, allergies, medications, procedures and diagnoses. Secure payments made on the portal are immediately reflected. Enrollment forms and more details are available here.